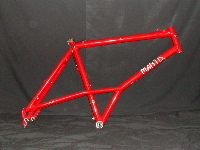 1984 21" 72° 72° 17.5" 24" 42.8"
1986 21" 70.5° 70.5° 17.25" 11.75" 24.5" 42.25"
The XCR Composite frame - an aluminum main triangle with a bolt-on steel rear triangle - was perhaps the most influential of the Mantis designs. 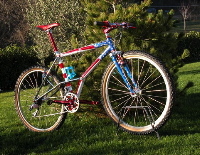 Gary Fisher licensed a version in around 1989 (same year as the 1.25" headset...), the CR-7. 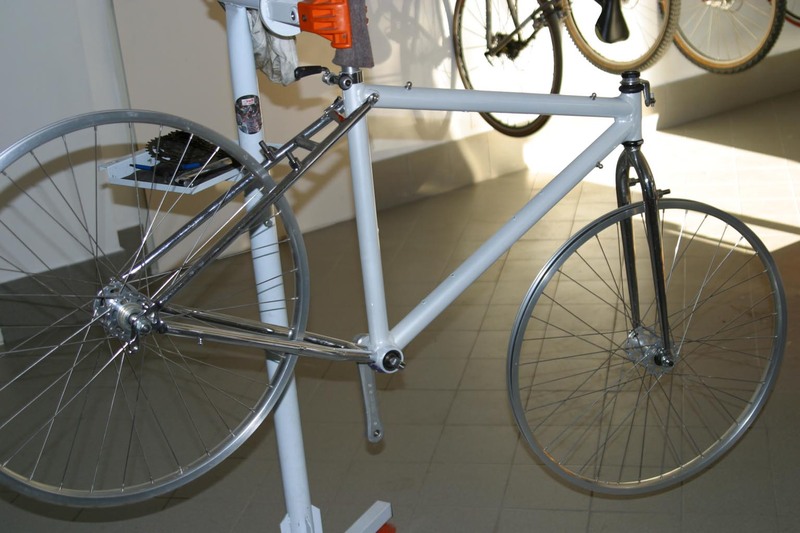 Like the X-Frame/Valkyrie, later replaced by an elevated chainstay variant (see below). 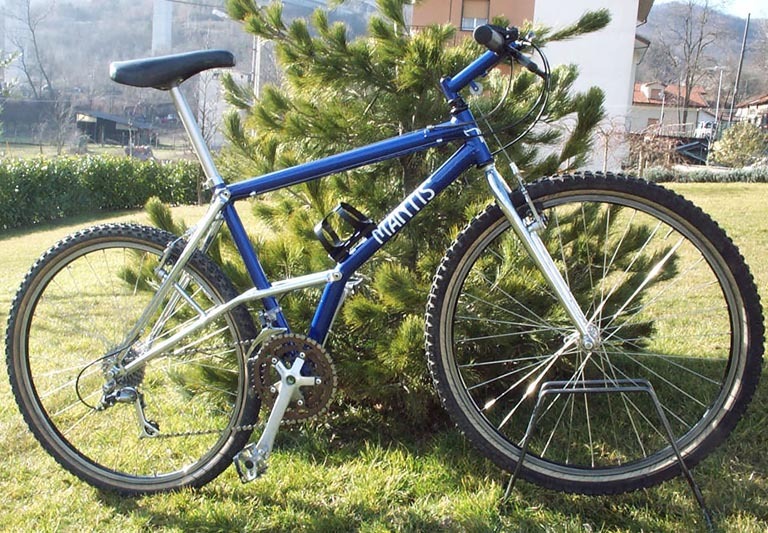 Originally, the XCR was a brazed full-chromoly frame (Columbus stays, top tube, and seat tube, and a down tube of plain-gauge aircraft tubing) much like the Sherpa, but built as one of the first dedicated racing mountain bikes, as opposed to the more laid-back geometry of earlier Mantis bikes. 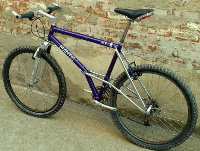 1989 18" 70.5° 72° 16.5" 22.5" 41"
Basically a standard XCR with design modifications to accomodate the elevated chainstay design that Richard helped popularize in the early 90s. 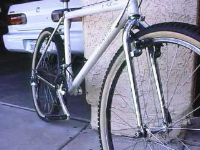 Nishiki produced a version of this frame, the Alien ACX, which had box section tubes in the main triangle. 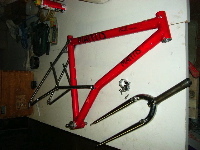 I beleive Haro also produced a frame of this type as well? Some full-aluminum XCRs were built as race prototypes, but only a very few, and they never made it into production.